You are here: Home / News / Top 5 Things That Make Dragon Ball Legends Better Than Dokkan Battle. Top 5 Things That Make Dragon Ball Legends Better Than Dokkan Battle. (ThyBlackMan.com) In addition to being a long time avid video gamer, I’ve been an avid mobile gaming fan and player for the past 7-8 years now and mobile gaming has greatly diversified my taste in video games as well as technology because I’ve always been a very tech savy guy since my childhood when me and my siblings would often play Mario on the NES and Sonic on the Sega Genesis. I have been playing the Dragon Ball Z: Dokkan Battle mobile game every day since July 22, 2015 and I’ve seen and experienced the highs of the mobile game with the new transformation mechanic with my favorite being Vegeta turning into Ultra Super Saiyan Blue and the lows which are not getting the big rewards for top grossing that Japan always gets. When I first played the beta version of Dragon Ball Legends on Android a couple of months ago, I was immediately impressed with the gameplay and the features that were not seen in Dokkan Battle that were implemented in this game like PVP and triggering certain effects on certain cards like if you flick a Vegeta “SPARKING” card up or down, you will see him fire off his powerful Super Galick Gun against Goku during their very first battle back during The DBZ Era. 1. 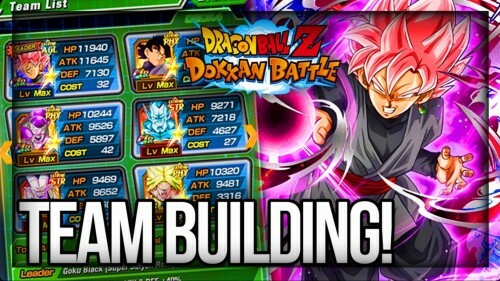 PVP – One of the several main things that pissed off many fans of Dokkan Battle like myself is the fact that Akatsuki refused to implement PVP into Dokkan Battle for whatever reason. In Dragon Ball Legends, PVP has been implemented and we can definitely enjoy the fun of having intense competitive matches not only against other players, but you can also hook up with your friends and play against them too and I have to say that playing against your friends and other players is much better than playing against CPU opponents all the time. Note: My favorite PVP win came recently when my PVP opponent was about to finish me off with the special “Rising Rush” attack and just when my opponent was about to do that, I was playing as my favorite Dragon Ball character in Vegeta and immediately fired off the super attack in The Galick Gun therefore knocking out my opponent and winning in the process. 2. Certain Effects Triggered On Certain Cards – One of the other main legitimate complaints that came from Dokkan Battle players like myself is the fact that when we either Dokkan Awaken a card, it has that shiny diamond effect and people like myself absolutely hate them. But in Dragon Ball Legends, the shiny diamond thing on the cards is nowhere present and you can also trigger certain effects on certain cards like when you flick up or down on a Paikuhan “SPARKING” card, you will immediately see behind him Goku and Vegeta fusing into Super Gogeta (which is implied that he will appear in Dragon Ball Legends in the future) which is absolutely badass and it’s my favorite “SPARKING” card in the game so far. 3. 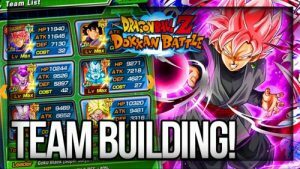 Gameplay – Another thing that I feel makes Dragon Ball Legends better than Dokkan Battle in is the gameplay because let’s be real, the gameplay in Dokkan Battle has become too stale, repetitive, and redundant because you only need to get a certain number of ki orbs just to launch a super attack in Dokkan whereas in Dragon Ball Legends, you get to choose 4 cards on the screen between healing, punching, shooting ki blasts, and firing off a super attack. Players can also swipe on the screen to dodge forward, backward, and sideways. One of my favorite things about the gameplay is when an enemy tries to attack you and you attack at the same time, there’s a clash mechanic in which both players see a meter and try to tap it when it’s full and the player with the biggest meter wins the mini game. And not to mention another one of my favorite gameplay mechanic is when after you select 7 cards with dragon balls on them, the phrase “Rising Rush” will appear on the screen and if you select one of the 4 cards that beats out the opponent’s card, then all three characters will fire their super attacks which often leads to your opponent getting KO’ed. 4. Voiceovers – One of the things that greatly bugged many Dokkan Battle players like myself was the fact that when you launch a super attack, there were absolutely no voiceovers. But in legends, the voiceovers are very present in the form of our favorite voiceover actors from Sean Schemmel to Chris Sabat when you hear right before the super attack in particular, you hear the names of Galick Gun and Kamehameha. I’m actually glad that they implemented this feature into Dragon Ball Legends. 5. The 3D Characters & Environment – One of the things that I absolutely love about Dragon Ball Legends is that the stages are in a 3D environment and the characters are in 3D which is very similar to what players see in the Xenoverse series and the 3D stages in this game look absolutely beautiful from the mountains, the plains, to Planet Namek. And of course the 3D character designs like my favorite one Vegeta with the scouter from The Saiyan Saga in particular looks so badass. The 3D character art for this game is so amazing for a mobile game.